Chinese Rice Bowl Gift Set - Floral Designs - Oriental Gifts from Got-Bonsai? 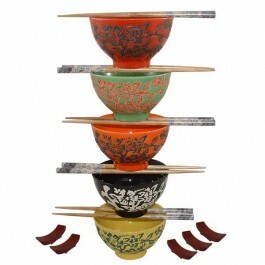 Contains 5 Floral decorated Chinese Rice Bowls, 5 pairs of decorated chopsticks and 5 wooden chopstick rests. 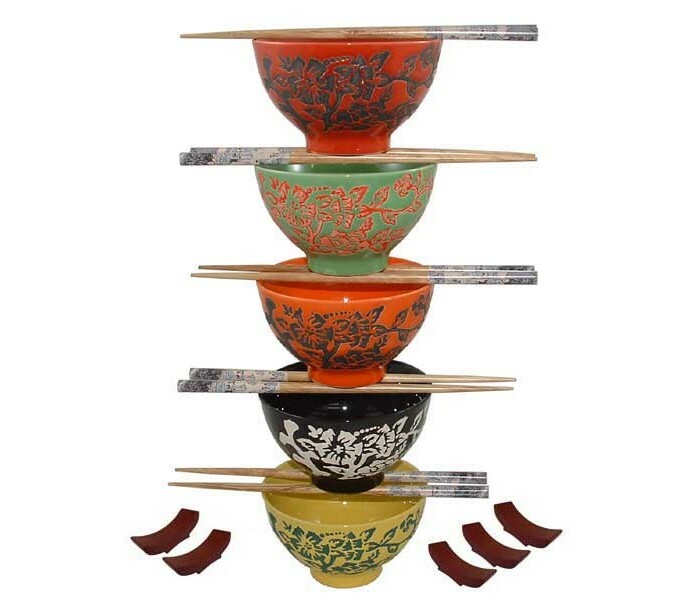 Complete Chinese Dining Kit and a great gift. 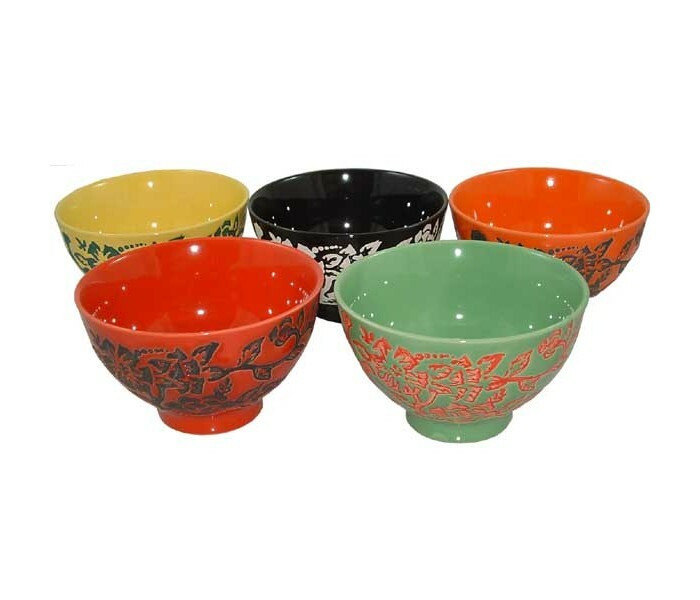 Contains 5 Floral decorated Chinese porcelain Rice Bowls in mixed colours (11.5cm diameter - 6.5cm tall), 5 pairs of decorated chopsticks and 5 dark wooden chopstick rests. Complete Chinese Dining Kit and a great gift. The chopsticks are 22.5cm standard lacquered wooden Japanese style chopsticks.